Viewers of the RTÉ online web drama series, 'Storyland' have voted and the winner has been announced. The comedy drama series 'Hardy Bucks', created by a Mayo based cast and crew, has emerged as the overall winner of the first ever RTÉ 'Storyland'. Actor and screen writer Mark O’Halloran who chaired the selection panel said: “We set out looking for good characters and interesting stories and hoped to discover new talent when we launched 'Storyland' last year. I’m absolutely thrilled that 'Hardy Bucks' is the winner, it’s great to see talent coming through especially from outside Dublin. Launched last October 'Storyland' is an innovative and unique RTÉ project that has seen nine drama series commissioned specifically for the web. The series has been on-line since March and each month audiences voted on which series should be re-commissioned. 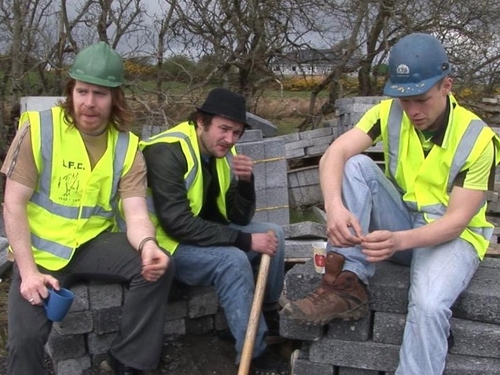 The grand finale, episode 6 of the 'Hardy Bucks' will be available on line at www.rte.ie/storyland from 29 September 2009. You can currently see the winning episode plus the runners up 'Rental Boys' on the site.